I don’t often do license requests so I was quite excited to do a Tezuka request post. But it seems the Manga Curmudgeon David Welsh has stolen my idea, although, knowing him, it might be stolen from elsewhere! (heh.) Still, I did a lot of research on Tezuka recently and I got to learn a lot about many of his amazing works. This title was suggested to me by my senpai (for lack of a better word.) Since she was the one to first lend me Ode to Kirihito, change how I thought about manga and get me into Tezuka, I trust her taste quite a bit, at least enough to look into it. I did and this series sounds DELIGHTFUL. Basically, it’s about an actor so masterful that he can pickpocket wealthy audience members during his performances under the guise of Rainbow Parakeet. There is, of course, a pair of bumbling detectives on his case, and a sidekick– a dog who is able to transform into Parakeet. It sounds so wonderfully zany. A bit like From Eroica with Love, except less weird crazy gay man action. (Don’t get me wrong, Eroica is fabulous, but his personality seems so out of place to me. He would probably be better written as a woman.) This manga simply exudes color to me and I’m not just talking about the title name or this cover! This manga is a lot like Black Jack with its titular mysterious unlicensed taxi driver and episodic story lines. That isn’t to say that they’re exactly alike. Mid Night is more altruistic than Black Jack usually is and there’s no Pinoko-like character that I know of. Still, much like Black Jack, Mid Night helps the needy and kicks the unworthy out of his cab on their sorry behinds. There’s a bit more action because he often gets into tumbles or various kinds of races. He’s a lot more talkative than Black Jack because cabbies naturally have a lot more chances to talk to their customers than surgeons do, so he comes across as more personable too. But Mid Night is still a mysterious dude and a well-written one at that. Who doesn’t love a good mysterious dude? This would be an excellent followup to Vertical’s wonderful adaption of Black Jack and fans of the series would eat this one up. This one is actually a short story anthology, which I think would be good for many reasons. One it has a lot of different kinds of short stories, from historical fiction in Rainbow Prelude itself to an adaptation of classic lit in The Merchant of Venice. Two I think it might be a good testing ground for a publisher who doesn’t want to take a huge risk, but wants to gauge sales. There’s a little bit of personal bias here because I love me some historical fiction manga, but I know a lot of people have also been itching for Tezuka’s version of Crime and Punishment too. Why not see if people buy this? 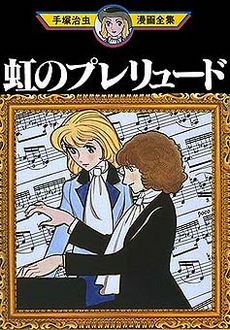 Rainbow Prelude is about a girl who falls in love with Chopin while the Russian troops occupy Poland and I’m sure I don’t have tell you what The Merchant of Venice is about. I can’t tell you much about the other three stories, but it does seem like two of them are connected. How can you look at this and not see awesome? Everyone loves vampires nowadays, right? I mean, what with Twilight and all its knock-offs. Vampires = pretty damn hot. I know they’re something most publishers are probably looking out for. Vampires sell like hotcakes. Tezuka’s vampires, however, aren’t actually vampires. They’re a lot more like shape-shifters or werewolves (which will also sell to the whole Team Jacob camp of Twihards), but please don’t let that stop you. This manga will sell to all sorts- vampire-lovers, werewolf-lovers, classic manga lovers, Tezuka lovers, etc. This manga is actually the beginning of Tezuka’s transition into darker storylines, which seems to be the kind of Tezuka manga that U.S. publishers seem to like publishing. 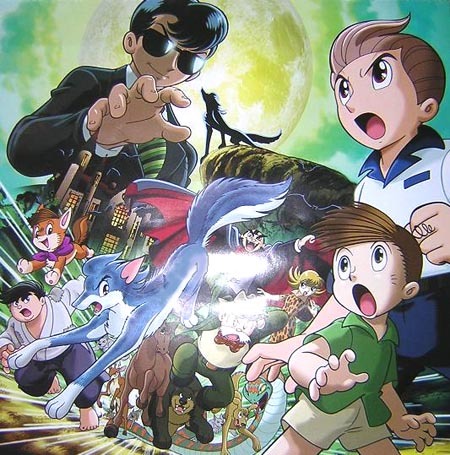 Not only that but readers would also get a taste of the “Tezuka Universe.” Much like super-hero comics, Tezuka re-uses his characters in his manga. In Vampires, not only do we get to see Makube Rokuro (Rock Holmes in earlier, more light-hearted manga), but Tezuka himself as himself. Based on everything I’ve heard about Vampires, it seems pretty epic. It would be an interesting addition to U.S. manga publishing. 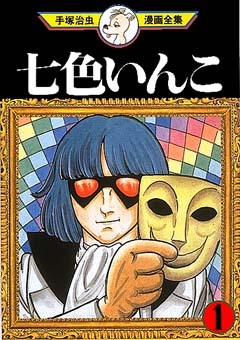 This entry was posted in manga and tagged Black Jack, Crime and Punishment, From Eroica With Love, Jungle Emperor Leo, Makube Rokuro, Mid Night, Osamu Tezuka, Princess Knight, Rainbow Parakeet, Rainbow Prelude, Rock Holmes, The Merchant of Venice, Twilight, Vampires, Vertical. Bookmark the permalink. This post is AWESOME. So very awesome. Tezuka has so many great series that need to be licensed and I think you highlighted some incredible choices. Oh how I want to read these. So very badly. Still, Dororo is also unfinished, and Vertical nabbed themselves an Eisner for that. Here’s hoping! Oh man, that makes me a little sad. I know that most publishers probably have other Tezuka titles higher on their lists, but Vampires seems like such a good choice to me. I’ve heard a little bit about how difficult dealing with Tezuka Pro. can be, so I imagine if they don’t want to budge, it might be impossible to get Vampires licensed. One can only hope it might still have a chance.